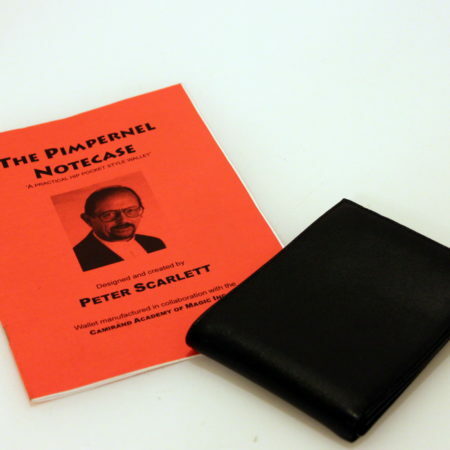 One of the first, and best, wallets that I have owned with eight large pages of tips and some great routines by Peter Scarlett. A practical Billfold style wallet that does everything the Himber wallet does and more! 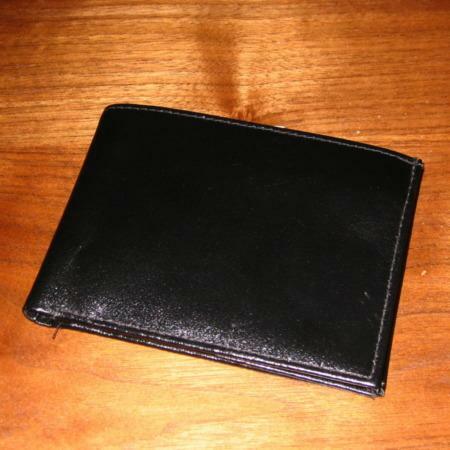 One effect: A wallet is placed on the table. 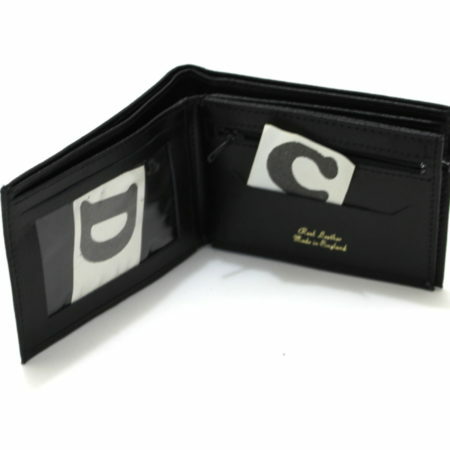 A spectator chooses a card from a normal deck, and SIGNS the face – the card is returned to the deck which is SHUFFLED. 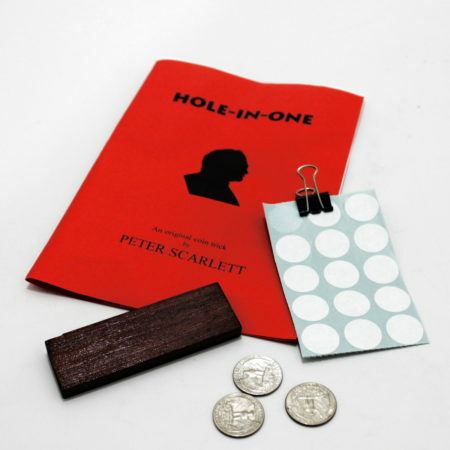 The performer says he is so confident that he can find the card under these impossible conditions, that he will put money on it! 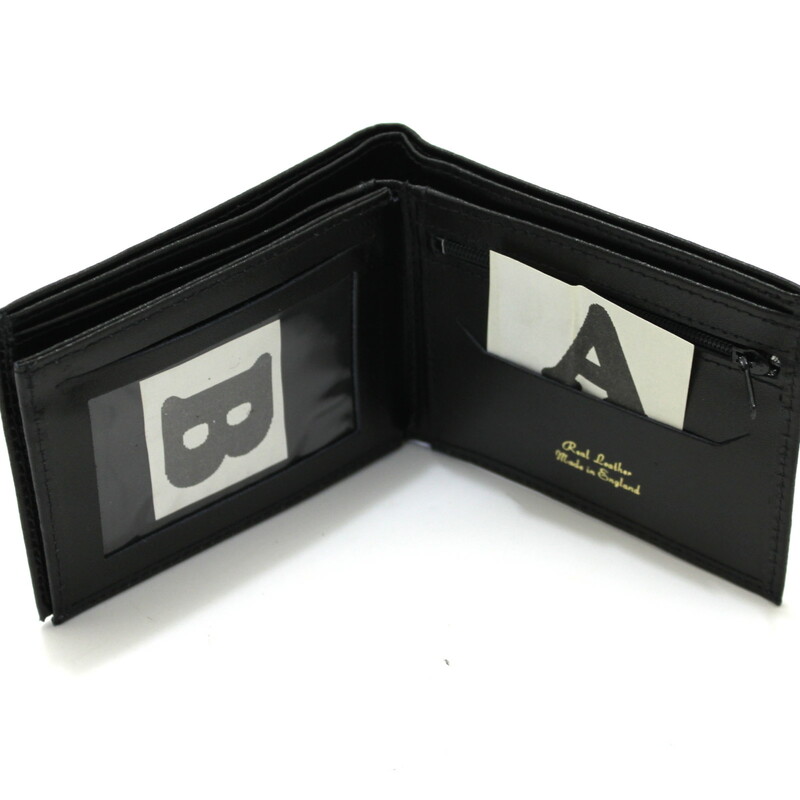 The wallet is opened and money removed – AT NO TIME DOES THE WALLET GO ANYWHERE NEAR THE DECK – the performer removes one card from the deck and places it in a transparent window in the wallet. 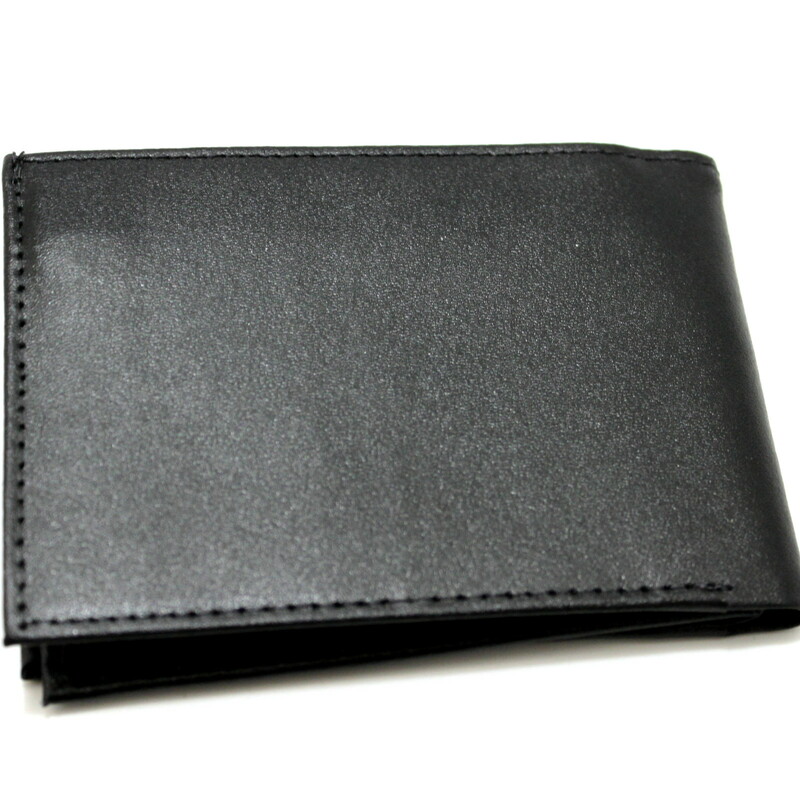 A Billfold style wallet that does everything the Himber wallet does and more! 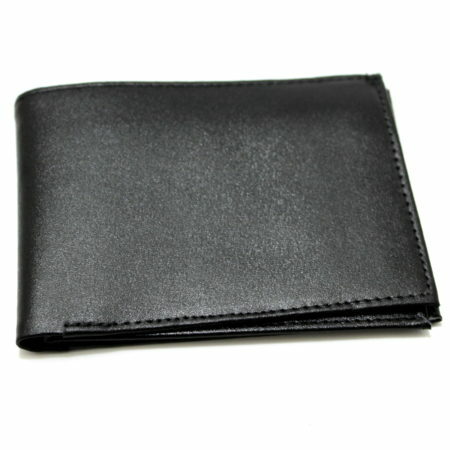 Looks like an ordinary wallet no straps, no gimmicks, no slides. Real leather built to last. Complete with several routines, it is a utility prop with endless uses.